August’s meeting went rather well even though we were unable to “go to water” due to the generosity of mother nature in the amount of rain she blessed us with. The river was just a little too rough to do this ceremony safely. Otherwise we enjoyed a great meal together, Thank you to everyone who attended the meeting for the great food. Our Chief discussed and demonstrated the blowgun as a form of hunting weapon. Anyone interested in learning more should contact Chief Red Bear. We discussed nominations for Board Members. Nominations were: Pawnee Jewell, Robin Taylor, Aliya Trinity (who has asked to be withdrawn from the list), Audra Phillips, Clint Dye, and Chuck Salyers. We would like to elect 3 for now and add additional ones as our community grows (to be elected at the next council meeting – please make your vote heard). We also discussed where the community is going and where we would like to see it in the future. I invite all of you to send me an email on your thoughts on this matter. 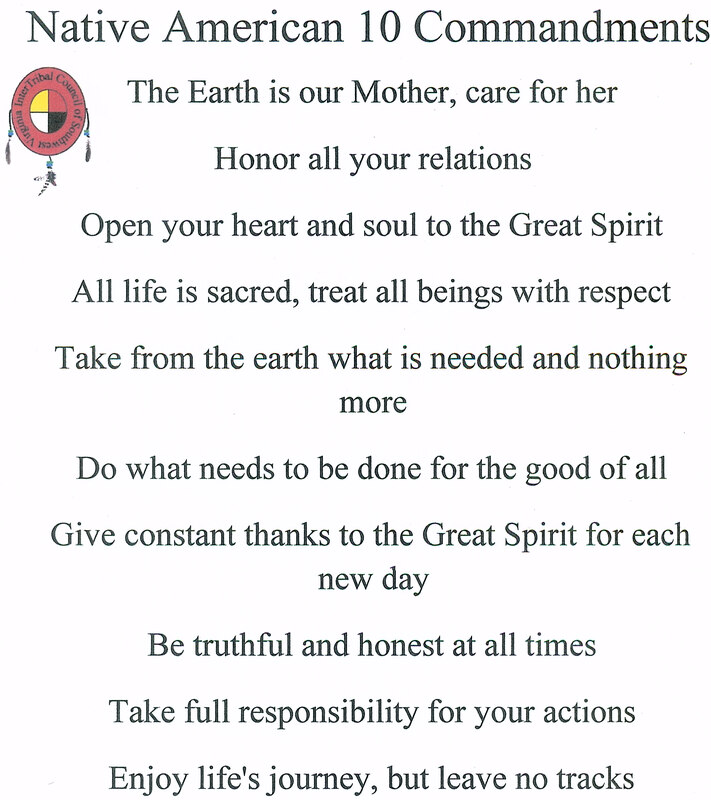 We talked about the importance of us all putting our energy towards the same vision, so we’ve decided to have a gathering at Pawnee’s to come together in prayer for making our vision for the community as focused and strong as possible. If you would like to attend this meeting please come with your vision and ideas. If you need directions to Pawnee’s please contact her. She is on the contact list, if you do not have a contact list please contact AJ or myself and we will get you the information you need. We are also having the first in a series of meetings to begin sharing our knowledge of plant identification and medicinal qualities with one another. This will be an opportunity to teach what you know and learn something that you don’t. Even if you only know one thing and 16 people show up that’s then 16 things we all know. This meeting will be at Clint and Nancy Dye’s home. Plan on spending time outside and trying new “veggies” lol. If you need directions to Clint and Nancy’s please contact them. They too are on the contact list. I invite you all to go to our new website paintedmountaincommunity.com and check out the dates on the calendar. As we add events it will become more important for us all to keep an eye on this calendar, as hopefully there will be lots going on throughout the month and I won’t always be able to email everyone in a timely manner, try as I might. I’m just not that good and time has a tendency to slip between my fingers more often than I care to admit. I would love to see more events going on in our community so please feel free to share any ideas you have for gatherings. MEMBERSHIP APPLICATION. Click photo for a larger, printable copy. In addition to these events we also set the next Council meeting for Sept 16, @ 6pm. I am working on getting a place for our meeting for the winter but I don’t know if I will have it arranged by then. Keep this in your prayers, please. I have several leads on possible sites where we may be able to have ceremony and meetings on a regular, long term basis. Applications for memberships cards and the 10 Native Commandments were made available to those interested in them. 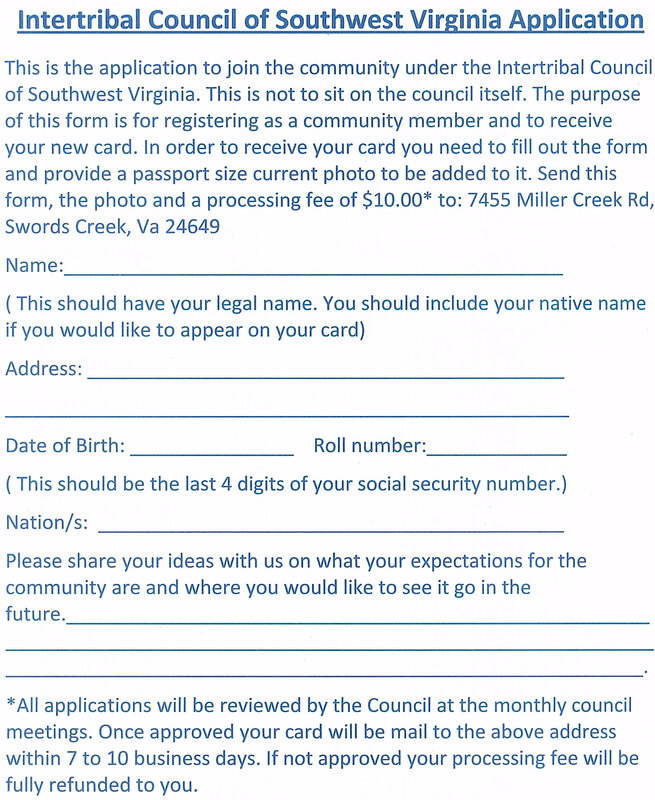 There will be a link placed on the site soon for you to be able to print your own copy of the application and mail it in with your picture and fee. COMPLETE applications will begin to be printed in the order in which they are received. This will make the other roll cards obsolete. This pretty much covers what happened at Aug’s meeting. Hope to see you all at one of our upcoming events. Welcome to Native American News, by Native American Encyclopedia. Our objective is to; Honor our Elders, Inspire our Youth, Document our History & Share our Culture.